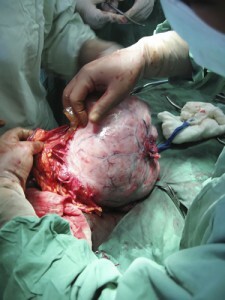 The major cause of gynaecologic-related cancer mortality in women in developed settings is ovarian cancer. Recent research findings in this field provide hope in relation to both screening and early treatment – even though randomised controlled trial evidence in most screening techniques is still not available. Serum CA125, which is the most commonly used tumour marker for ovarian cancer, is not suitable for population-based screening as it has been found to be elevated in only five to six out of ten women with stage I epithelial ovarian cancer. Screening and diagnosis may therefore have to incorporate a variety of other tools. Primary prevention also needs to be considered. A meta-analysis found that smoking may increase the risk of developing mucinous ovarian cancer twofold. Other studies have shown reduced serous ovarian cancer risk with hormonal contraceptive use, breastfeeding duration and increasing parity. Health care workers could contribute to primary prevention by encouraging patients to quit smoking, change dietary habits and breastfeed their babies. As for the actual screening test to be used, urine angiostatin levels are elevated in patients with epithelial ovarian cancer and have been shown to be a superior marker in detection of epithelial ovarian cancer as compared to CA125. Differentiation of cancer from healthy controls had a sensitivity of 88% and specificity of 92%; while differentiation of benign from neoplastic lesions had a sensitivity of 84% and specificity of 84%. When used in combination with CA125, 91% of ovarian cancers were identified. In conclusion, serum CA125 is an inadequate solitary predictor in the diagnosis of ovarian cancer. Upcoming diagnostic methods provide an unprecedented opportunity to combine methods and thus improve diagnosis in Australia. McMullen D. Ovarian carcinoma: Classification and screening challenges. 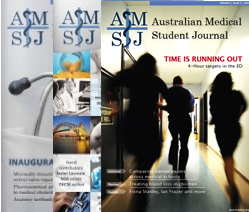 Australian Medical Student Journal 2010;1(1):35-7. Costi M, Zeillinger R. Drug resistance in ovarian cancer: Biomarkers and treatments. Highlights from the DROC meeting held in Modena (Italy) on the 19th and 20th of February 2009. Scientific topics discussed at the meeting are reported in the present issue. Gynecol Oncol 2010;117(2):149-51. Moore R, MacLaughlan S, Bast Jr. R. Current state of biomarker development for clinical application in epithelial ovarian cancer. Gynecol Oncol 2010;116(2):240-5. Kolahdooz F, Ibiebele T, Van Der Pols J, Webb P. Dietary patterns and ovarian cancer risk. Am J Clin Nutr 2009;89(1):297-304. Jordan S, Whiteman D, Purdie D, Green A, Webb P. Does smoking increase risk of ovarian cancer? A systematic review. Gynecol Oncol 2006;103(3):1122-9. Jordan S, Green A, Whiteman D, Moore S, Bain C, Gertig D, et al. Serous ovarian, fallopian tube and primary peritoneal cancers: A comparative epidemiological analysis. Int J Cancer 2007;122(7):1598-603. Heard A, Roder D, Luke C. Multiple primary cancers of separate organ sites: Implications for research and cancer control (Australia). Cancer Causes and Control 2005;16(5):475-81. Petrucelli N, Daly M, Feldman G. Hereditary breast and ovarian cancer due to mutations in BRCA1 and BRCA2. Genet Med 2010;12(5):245-59. Despierre E, Lambrechts D, Neven P, Amant F, Lambrechts S, Vergote I. The molecular genetic basis of ovarian cancer and its roadmap towards a better treatment. Gynecol Oncol 2010;117(2):358-65. Huang Y, Jansen R, Fabbri E, Potter D, Liyanarachchi S, Chan M, et al. Identification of candidate epigenetic biomarkers for ovarian cancer detection. Oncol Rep 2009;22(4):853-61. Drenberg C, Saunders B, Wilbanks G, Chen R, Nicosia R, Kruk P, et al. Urinary angiostatin levels are elevated in patients with epithelial ovarian cancer. Gynecol Oncol 2010;117(1):117-24. Hennessy B, Coleman R, Markman M. Ovarian Cancer. Lancet 2009;374(9698):1371-82. Jacobs I, Skates S, MacDonald N, Menon U, Rosenthal A, Davies A, et al. Screening for ovarian cancer: A pilot randomised controlled trial. Lancet 1999;353(9160):1207- 10.